Kobo is running a Memorial Day Weekend Sale from May 24-28 in the US only. The Delian Cycle is included in the sale for $2.99 — normally $9.99 — so hold off no longer! From now until the end of July, nearly all the Mushroom titles are on sale — some half price and some free — at Smashwords. Get 50% off Mushroom titles at Kobo until Sunday! The Balintol Cycle II by Alan Burt Akers, book 14 of The Saga of Dray Prescot omnibus is now available from good ebook stores everywhere, including Amazon (for Kindle), iBooks, Smashwords, Google Play Books, Kobo and Barnes & Noble (for Nook Books). 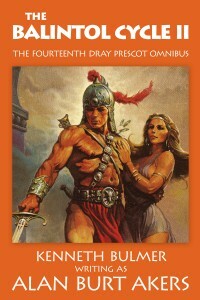 The Dray Prescot Saga, omnibus edition, containing books 47 to 49 in the epic series. If you are prepared to hurl yourself into adventure, to face peril with a brave heart, to risk all, then the marvelous world of Kregen offers you everything you have ever dreamed. For Dray Prescot the challenges are enormous. His task is to unite the sub-continent of Balintol against the Shanks, but the megalomaniac striving for power of various factions looks set to send Balintol up in flames. Includes a glossary of the entire Balintol cycle. 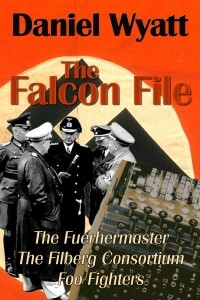 For more info, please see the The Balintol Cycle II page on mushroom-ebooks.com. The Balintol Cycle I by Alan Burt Akers, the thirteenth Saga of Dray Prescot omnibus, is now available from good ebook stores everywhere, including Amazon (for Kindle), iBooks, Smashwords, Google Play Books, Kobo, and Barnes & Noble (for Nook Books). 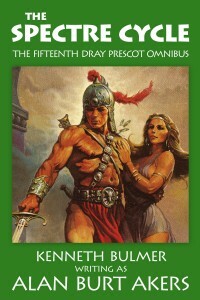 The Dray Prescot Saga, omnibus edition, containing books 44 to 46 in the epic series. Dray Prescot begins an entirely new phase of his adventures on Kregen, that magnificent and terrible world four hundred light years from Earth. Reared in the harsh conditions of Nelson’s Navy, Dray Prescot failed to find success on Earth but has succeeded in winning fortune on Kregen. He is called the Emperor of Emperors, the Emperor of Paz, but he himself regards these titles as meaningless. Paz is a vast grouping of continents and islands and is inhabited by innumerable races and nations, so why should they band together under Prescot? The Star Lords themselves have chosen him for this heavy task. In this, the first book of the Balintol cycle, the Star Lords have dispatched Dray Prescot to the town of Amintin in the continent of Balintol. Under the streaming mingled lights of the Suns of Scorpio, Dray Prescot sets forth on new adventures in the subcontinent of Balintol. 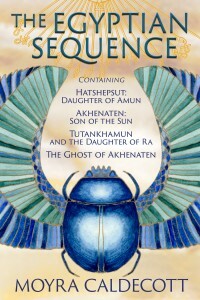 For more info, please see the The Balintol Cycle I page on mushroom-ebooks.com. The code can be used for unlimited books. The dates refer to the date of publication — all the books and formats listed here are available to pre-order now. It helps the books a lot if they are pre-ordered because they start out higher in the Amazon rankings. The links will take you to your most geographically appropriate Amazon store. The Spectre Cycle by Alan Burt Akers, the final Dray Prescot omnibus, is now available in the hardback edition from good bookstores everywhere. You can purchase it from Amazon or Barnes and Noble if you don’t want to order it from your local book store.